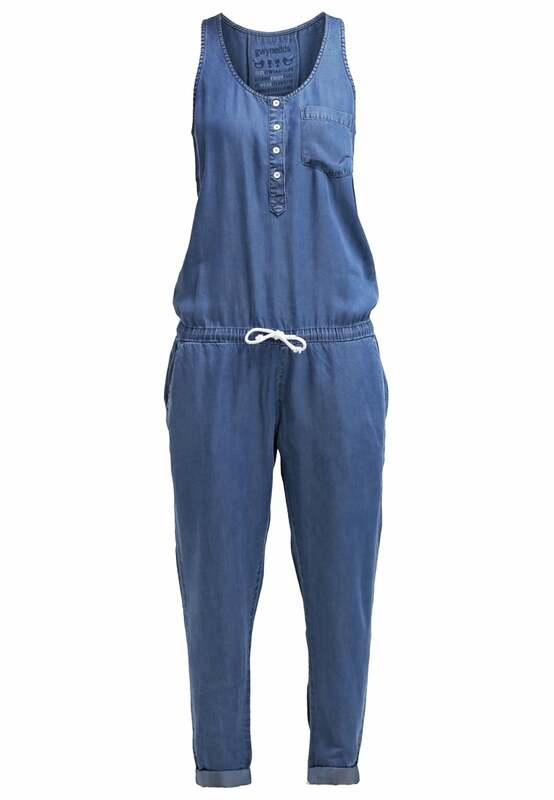 easy dressing ~ the jumpsuit! One item of clothing I can't seem to get enough of at the moment is a one piece....a jumpsuit to be precise! I'm really late to the party with these for everyday wear, I've swerved the ongoing dungaree trend. But! 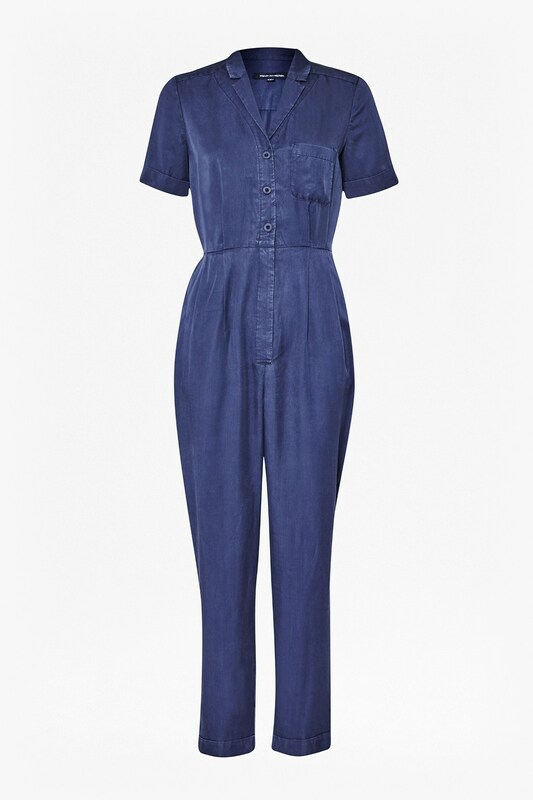 I've become very drawn to the boiler suit over the past few weeks after purchasing a H&M one which I just happened across in a store (unfortunately sold out now online). Then, earlier this week, my lovely little sister asked me if I would like a Next jumpsuit that she had bought but wasn't getting on with.....not one to turn down the offer of free clothes.... I said "oh go on then"! When I put it on I was pleasantly surprised....I loved it, so much so I kept it on that day. It's pretty much out of sizes on the Next website. I have to be honest and say I wouldn't have looked at it twice going by this picture but by changing the belt and accessorising it with tan... well I'm totally sold on it now! If you saw this post from a couple of weeks back you will know I purchased another jumpsuit from @hi*hi store by a brand called Hod. Which has also now had it's first airing as I've realised these one pieces are fab for the inbetweeny, mixed bag of weather we're having! 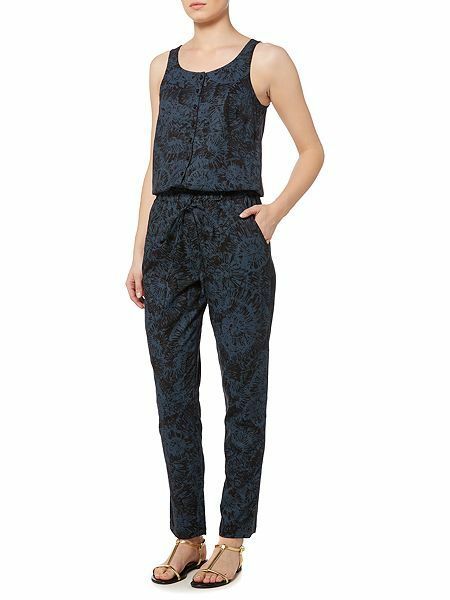 The thing that all three of these jumpsuits have in common is that they are tencel/lyocell which is such a lovely comfortable fabric to wear. So I've had a look around to see what else is available in a similar vein! This one tops my wishlist, I love the utility shape of this! 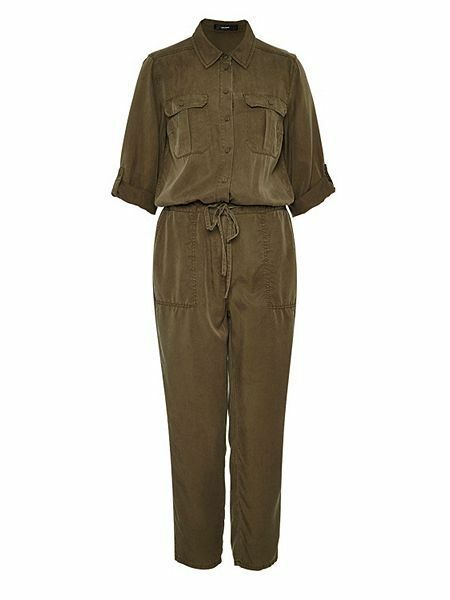 This French Connection blue jumpsuit is reduced at the moment and also comes in another colour called turtle.....looks like a dark khaki to me! 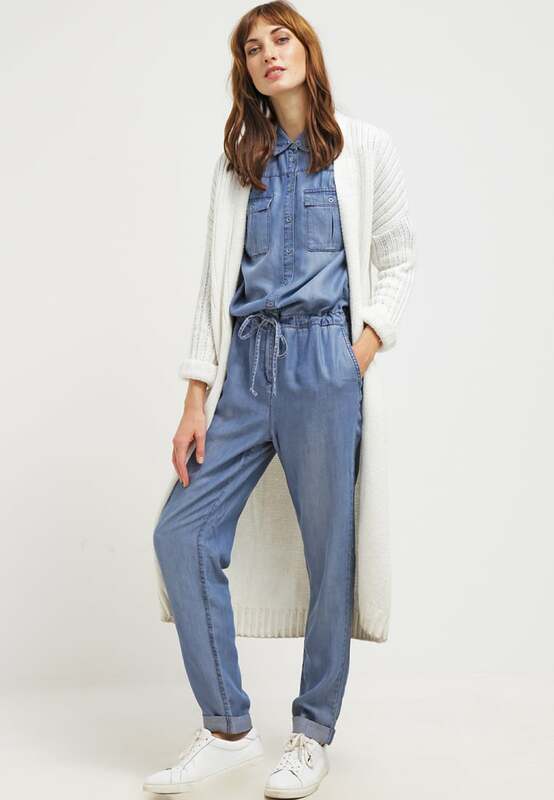 I did toy with a denim boilersuit a couple of seasons back, mine was from Primark so not the greatest quality but this one has caught my eye.....adore the styling here. A sleeveless denim style which is very similar to my Hod one! If you fancy a bit of print then this Linea could be right up your street, again this one is a fab price as it's in their sale. Last but not least is another one I've totally fallen in love with! This Sisley one is fab with heels but as I prefer my clothes to be dual purpose I'd be more likely to dress this down with flats but it's fab to have the option to wear with some gorgeous sandals too! Are you a fan of the jumpsuit? What's been your go-to outfit for this mixed bag of weather? I would love to hear! Onto the other couple of outfits from this week. a few bits for my holiday box! putting some proper dress research in! yay! it's dress season at last!